Our GROWL'R gift set is the perfect travel companion for the beer lover in your life. Includes our insulated 64oz GROWL'R & two 20oz Imperial Pint glasses. 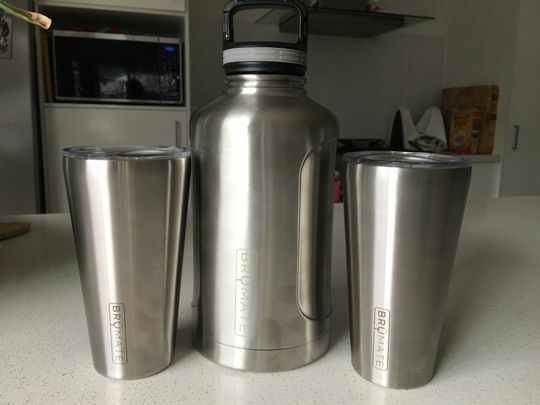 Keeps your beer cold & carbonated for up to 48hrs. This is a great set for beer drinkers and adventurers! From having a day at the park or beach, to collecting some beer from your local brewery, the growl’r abd pint glass set is a great buy.